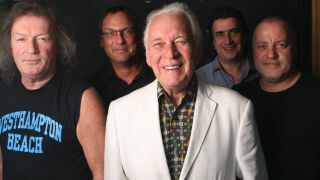 Procol Harum have announced that they’ll release their 13th studio album later this year. Titled Novum, it’ll launch on April 21 via Eagle Records on CD and 2LP. It will be the band’s 13th album and their first since 2003’s The Well’s On Fire. This year also marks Procol Harum’s 50th anniversary, with the group heading out on the road for seven dates across the UK in the coming months. Brooker is joined in the lineup by bassist Matt Pegg, drummer Geoff Dunn, guitarist Geoff Whitehorn and Hammond organ player Josh Phillips.